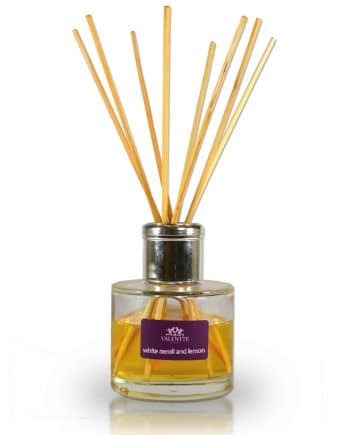 Our geranium & ylang ylang reed diffuser is made from pure, natural ingredients and will scent your home for a minimum of 4 months, perfect for relieving stress and tension. I found Valentte one day when walking through Covent Garden and have been buying these diffusers onine for many years for myself and to use as gifts - the geranium and ylang ylang is by far my favourite smell - it is simply gorgeous! My only criticism is that, plain packed refills should be an option, I would be happy to pay the same price, but I just hate throwing away all the beautiful packaging and the glass bottles - it seems such a waste, could have a tick box if you required gift wrapping, it would save so much money! Lovely scent, would have given 5stars but the aesthetics of the product packaging let it down however they were aware and have already resolved this . I have purchased 3 different scents this is the first one opened and very happy with it. 5 star plus customer service. A lovely subtle scent and stylish design. These diffusers or any of Valentte products make lovely gifts, even to yourself, well packaged and quick delivery. This geranium and ylang ylang is subtle but fresh. Great looking item, idea as a gift. The fragrance could do with being slightly stronger, it’s quite subtle at the moment. Love the look and the smell. Gorgeous scent, which filled my bedroom with delicious fragrance the minute I set it down. I first discovered valentte at a the fair. Sensual and exotic ylang ylang is renowned for its aphrodisiac properties. With it’s calming and euphoric effect, it helps relieve negative emotions such as anger and frustration. Ylang ylang is very yin and is considered to be very much a womans oil. A gentle smell but could be stronger to make a difference to even the smallest room. Lovely smell, really soothing. 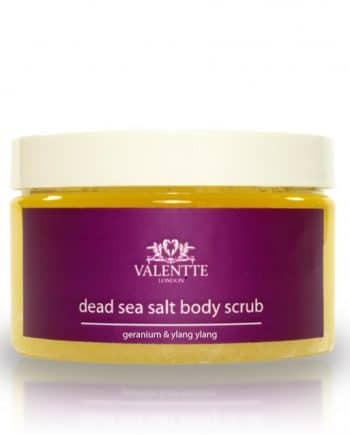 I love Valentte products, natural fragrances, well packaged and great quality. I love the candels ,this is the first time I have had a diffuser smell is lovely . Love the smell of this diffuser. Teamed with the candle it’s perfect. Makes a great gift, beautifully package. Have now purchased 5 mix and match boxes for friends as well as myself. 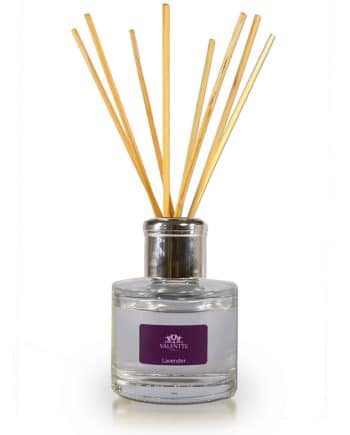 I have had several Reed Diffusers from Valentte – they smell lovely, maintain their aroma and last several months. It smells divine, and gently fragrances the room so not overpowering. Lasts very well. Lovely smell, not too potent but nice and subtle back ground smell. Makes even a large lounge smell good. Received this as a Christmas present. Beautiful fragrance, perfect for our downstairs loo, very happy with this, will definitely buy more from this range. Bought this for my daughter to put in her tiny bathroom, she didn’t want an overpowering perfume, and this was perfect. She is over the moon with it – exactly what she wanted. I love your reed diffisers, found you at The Knitting and Stitching Show at Alexandra Palace, I’m so glad I did. After giving the Valentte goodies as gifts, I have recently purchased this one for myself. Such a wonderful fragrance and long lasting too. I am so impressed with the Valentee range of products and will be looking out for your stand at the Horse Trials again this year. I found Valentte one day when walking through Covent Garden and have been buying these diffusers onine for many years for myself and to use as gifts – the geranium and ylang ylang is by far my favourite smell – it is simply gorgeous! My only criticism is that, plain packed refills should be an option, I would be happy to pay the same price, but I just hate throwing away all the beautiful packaging and the glass bottles – it seems such a waste, could have a tick box if you required gift wrapping, it would save so much money! A gorgeous scent – it really fills the room! It is in my bedroom and makes the room smell clean and fresh but also luxurious. I love it!